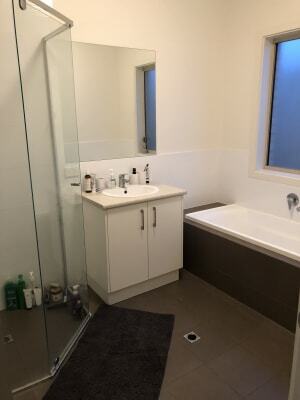 Large, new, modern interior house with an open living area located in Tea Tree Gully. The kitchen has all the required amenities, including a dishwasher, and a separate laundry with a BOSCH washing machine. The house is fully air-conditioned and very low maintenance, with an outdoor area and a large garage. 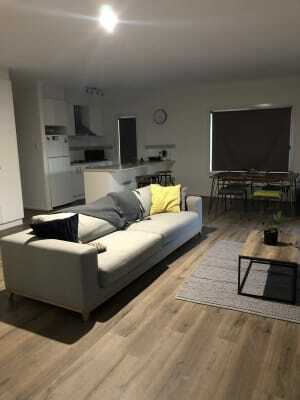 Located in walking distance of St Agnes shopping centre and conveniently near the newly renovated Tea Tree Plaza with heaps of restaurants nearby. Direct bus service in walking distance via the o-bahn into the city within 20 minutes. 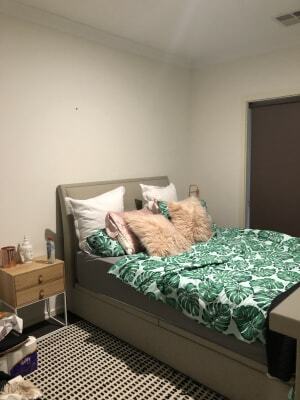 Large, unfurnished room with a build in wardrobe, large enough for a king-sized bed and a desk. The bathroom is shared with one other female which includes both a both and a shower and separate room for the toilet. The room includes unlimited internet and netflix/stan. My name is Rose, I'm 22 and work full-time 9-5 weekdays. I'm really into health and fitness but I don't mind having downtime on the weekend. Another girl, Nicky, also lives in the house. We are looking for a respectful, reliable housemate that preferably has a similar weekly routine to us (early mornings). We are very considerate of each other's space but also wouldn't mind someone who also wants to join in for dinners and the occasional weekend drink. Hi, my name is Rose. I am looking for a new house mate. I am 22 years old. I enjoy playing netball, fitness and cooking. I currently work full time in admin. I live with my cousin who is 17 years old from Darwin. She is currently a year 12 student.